How many others are competing for that job to which you applied? Though research numbers vary, many workforce planning pundits estimate that there are 300 – 500 applicants for every position filled. The job market is fiercely competitive. You know that. The internet is mostly to blame. It is just too easy to submit resumes in response to job postings on the big job boards. Sadly, many applicants do not meet the job requirements and qualifications spelled out in the job posting but it is just so easy to click that “submit” button. The rule of thumb – meet at least 80% of the qualifications before you apply. That’s step 1. Step 2 is: Stand out! So what must you do to stand out? If you have visited your local bookstore or amazon.com recently and reviewed the management/leadership section, you may have noticed lots of business titles on “branding”. 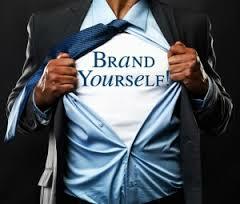 Now, make the mental leap of associating yourself as a brand. This may be a new concept for you but, as a job seeker, you will be more successful if adopting a marketing strategy to sell your talents and strengths. Your job search is about more than skills and experience – it’s brand. Let’s say you are a territory sales manager and pursuing a promotional position as Regional Vice President of Sales. Ask yourself: why would a hiring manager choose you over the other 300 applicants? Yes; you read that right. It is likely to have hundreds of others applying for the same position. Do you have a compelling career brand? How would my manager describe me in 5 words? How about my colleagues? What would they say? If a recruiter googled me (and 94% will according to CareerBuilder.com – up from 87% last year), what would they discover? What perception, or brand, have I created? And are the answers to all these questions consistent and favorable? Bonus question: what is the differentiating factor about me that stands out? Am I an expert in anything? For what am I well known and sought out? The rules of job search have changed dramatically over the past decade. Now, more than ever, you need to be a specialist vs. a generalist. The problem: many still write their resume, linked in profiles and cover letters too generally. Hiring managers and recruiters are generally looking for specialists, not generalists. Specialists are in demand – not generalists. Need help differentiating and marketing your unique strengths, talents and gifts to land your ideal career? Contact me – Patricia Edwards, founder of www.CareerWisdomCoach.com. I have interviewed and selected top talent for Fortune 100 and 200 companies as well as non profit organizations. I now share that wisdom with you – from the other side of the desk. Contact me at Patricia@CareerWisdomCoach.com to discuss how I can help you.